Image 6688856: Small winter stream with snowy trees. 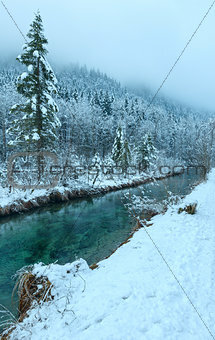 Image Description: Small winter transparent stream with snowy trees on bank. Cloudy weather.